A camping trip seems like the perfect way for a group of friends to spend a vacation they will never forget. Unfortunately, no one will be left alive to remember the trip! Something lurks in these barren woods, something more insane than a chainsaw-wielding psycho, something more brutal than machete swinging mama’s boy and more savage than a tribe of flesh-eating cannibals. 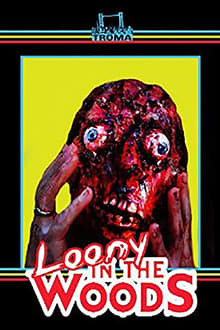 There’s a LOONY loose!